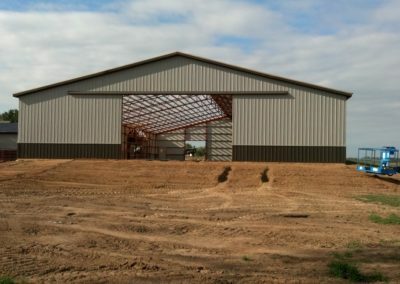 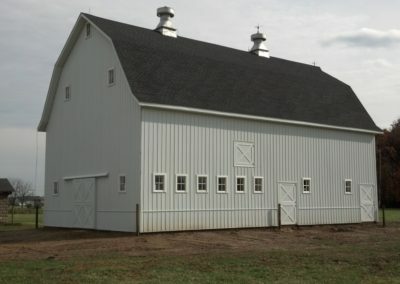 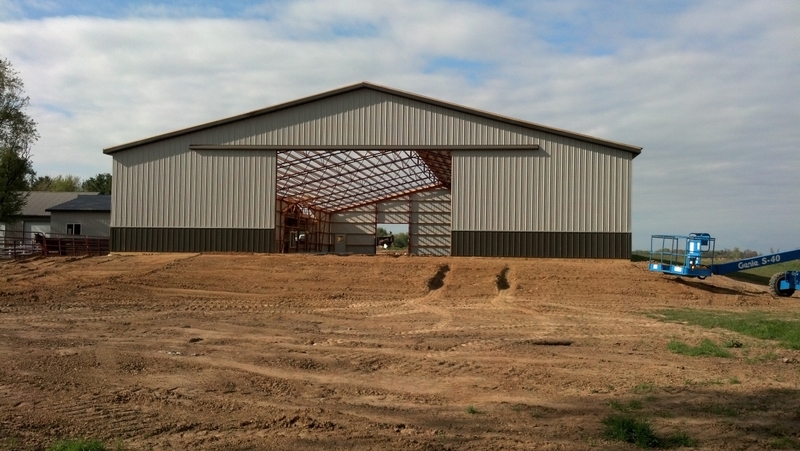 “Post-Frame Buildings” also known as Pole Buildings or Pole Barns. 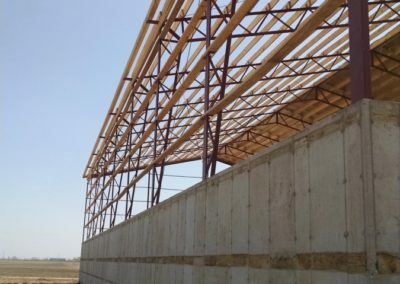 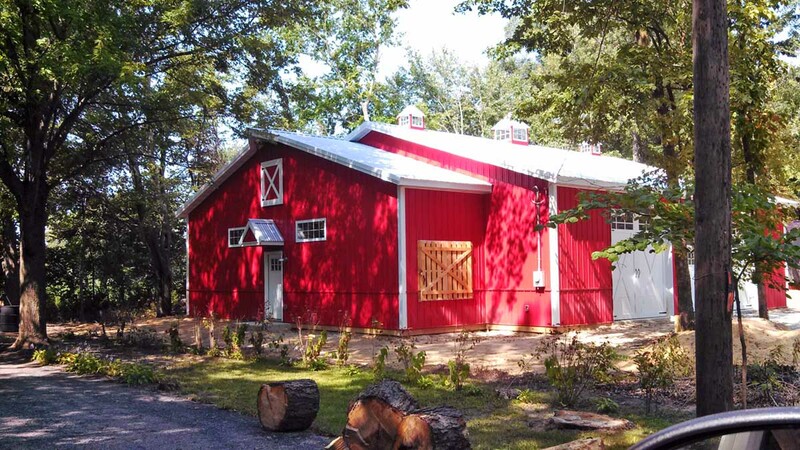 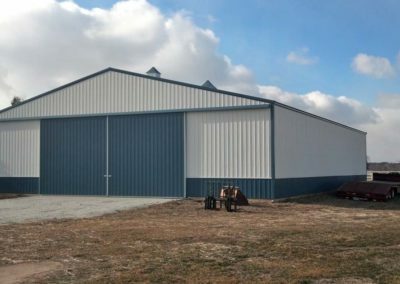 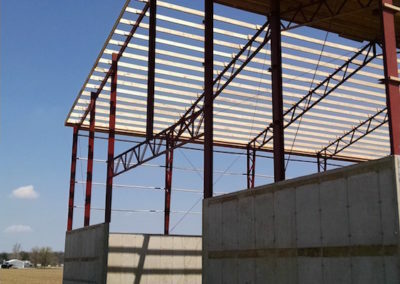 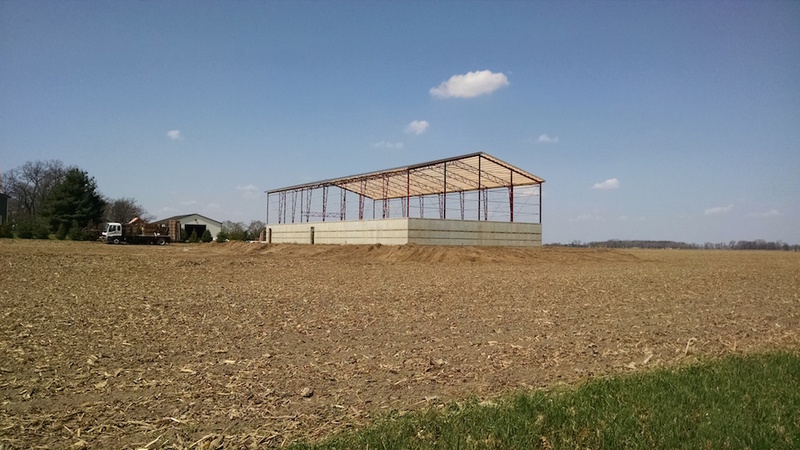 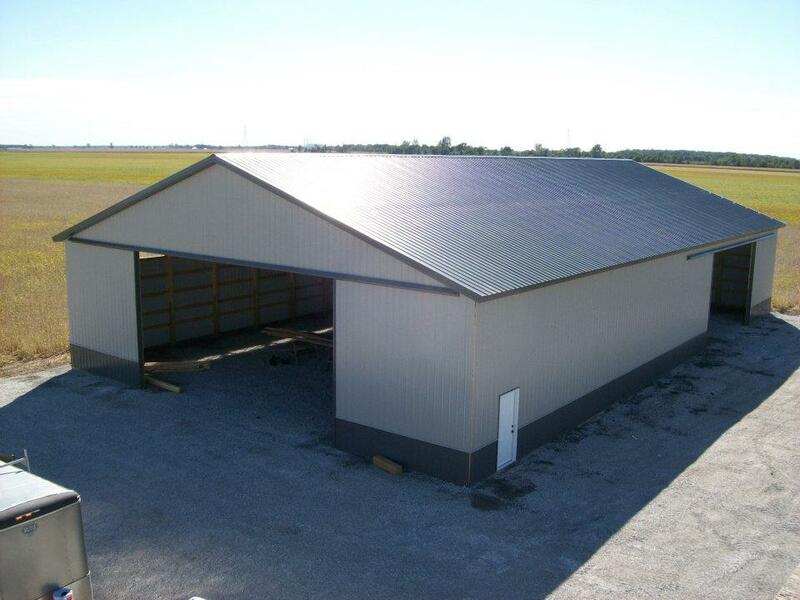 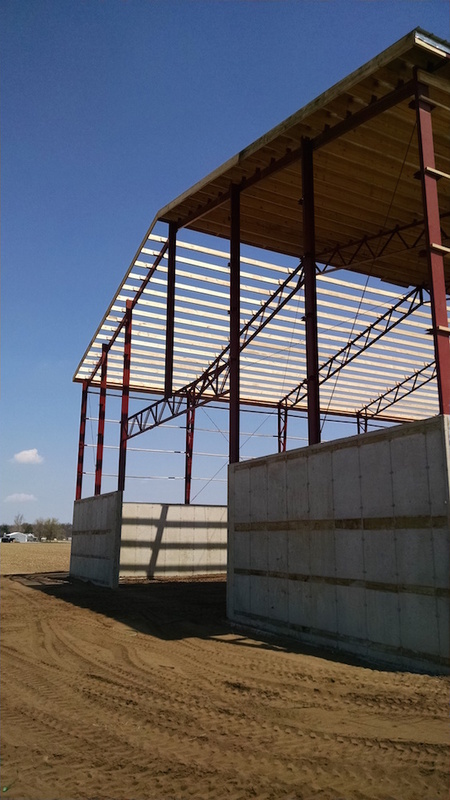 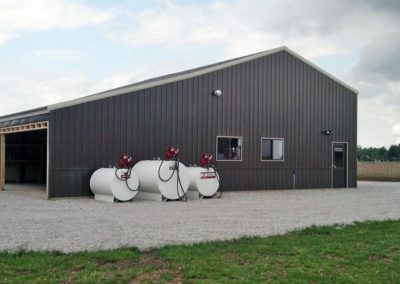 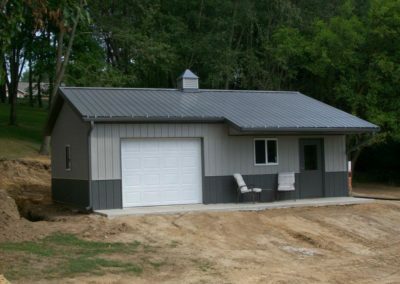 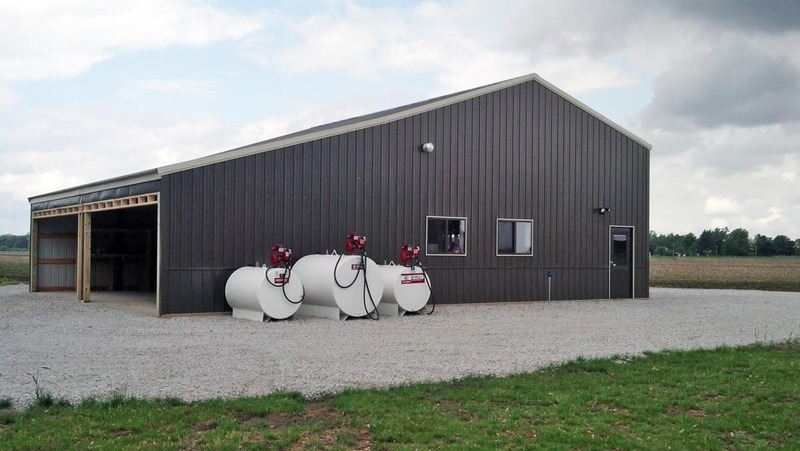 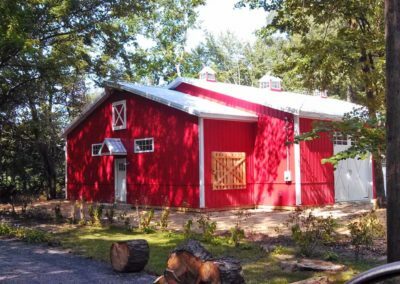 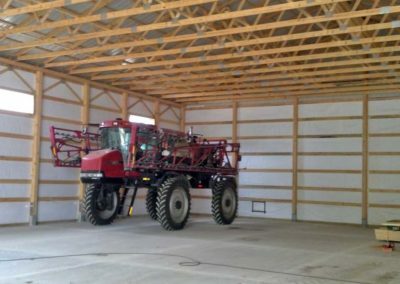 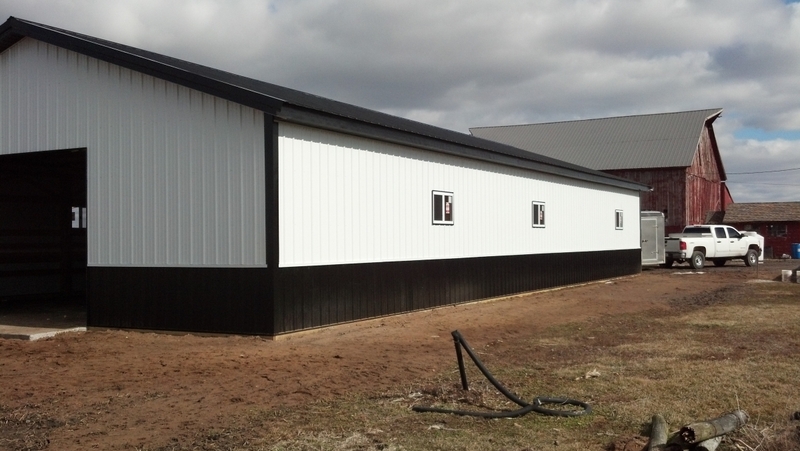 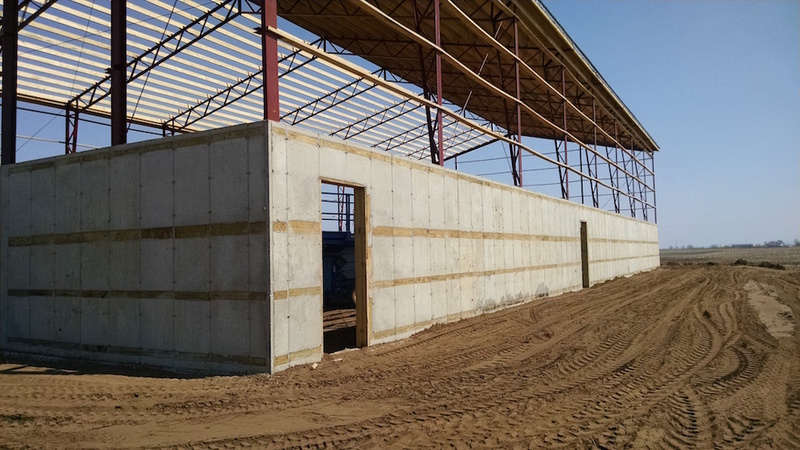 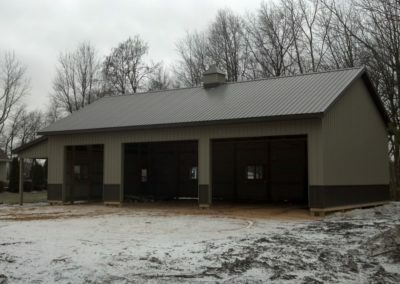 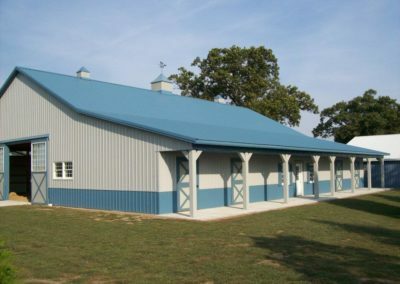 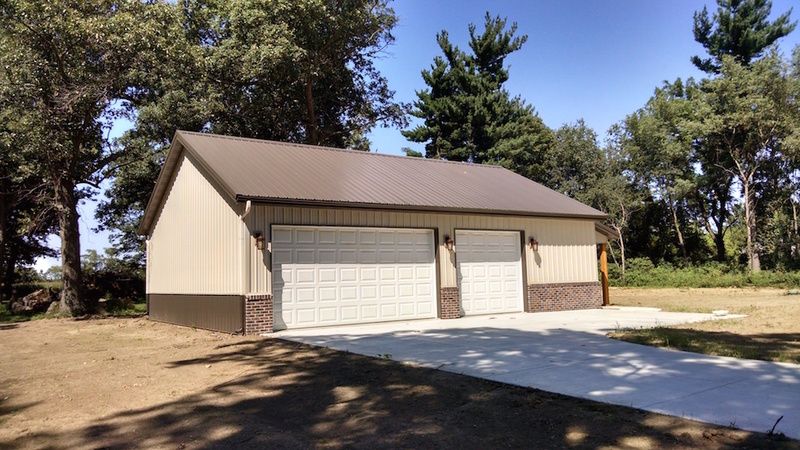 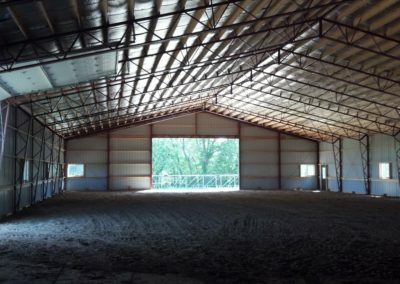 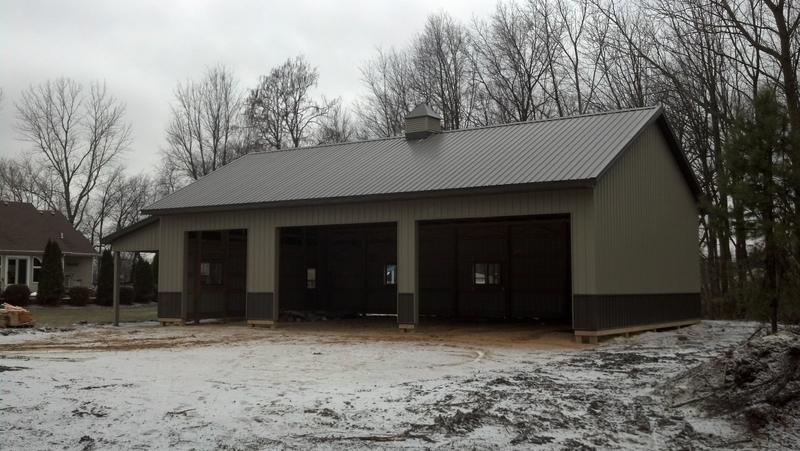 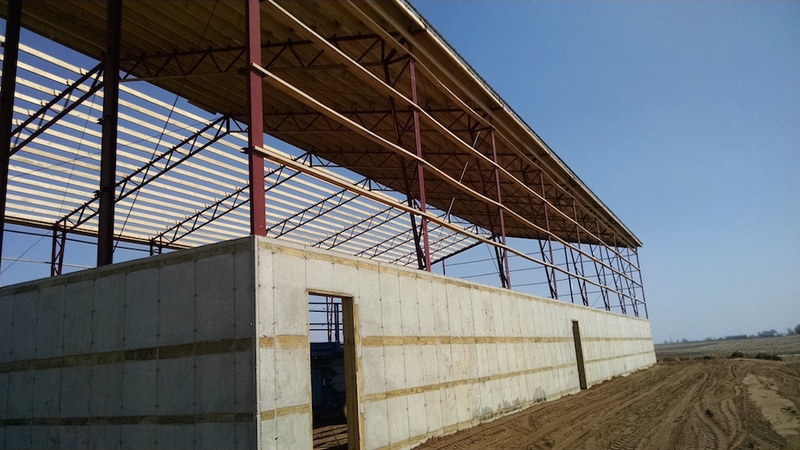 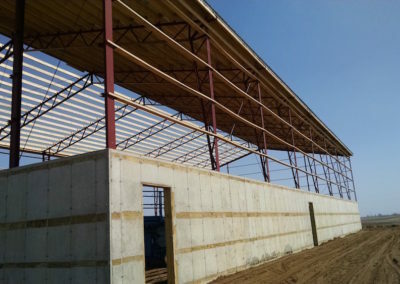 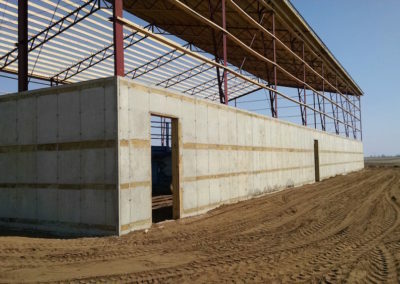 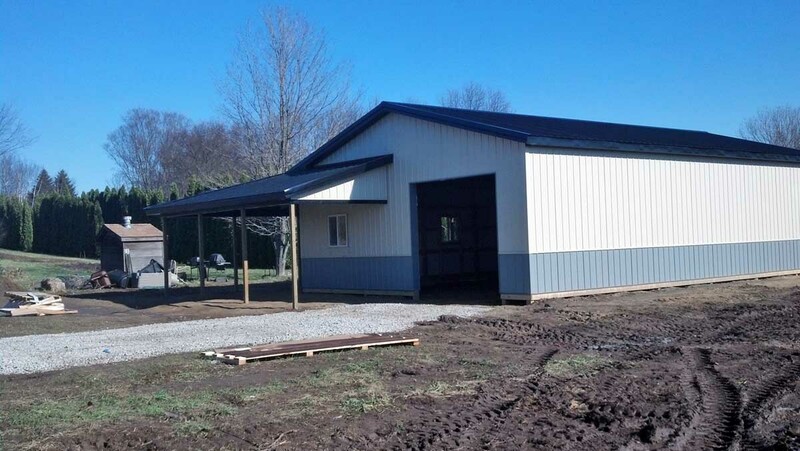 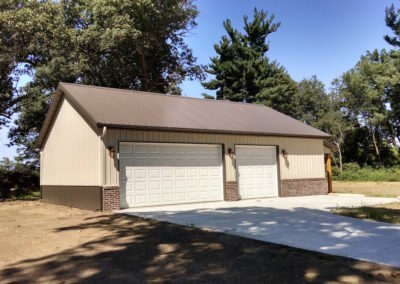 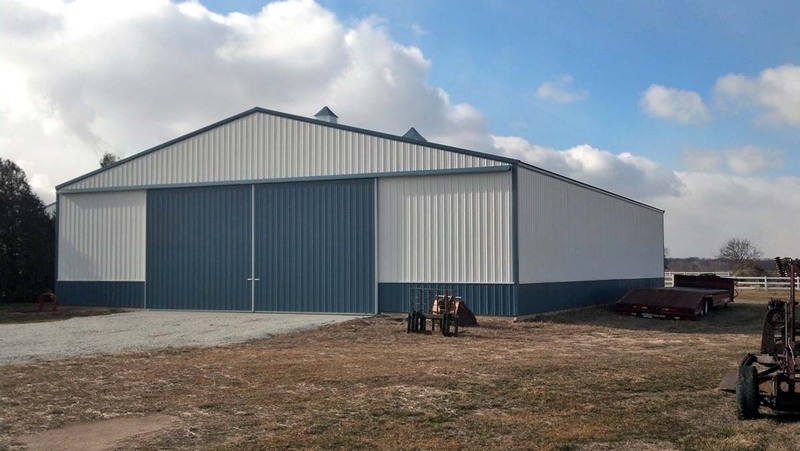 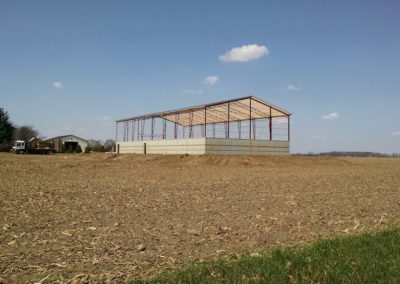 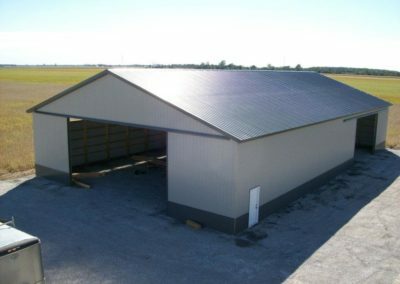 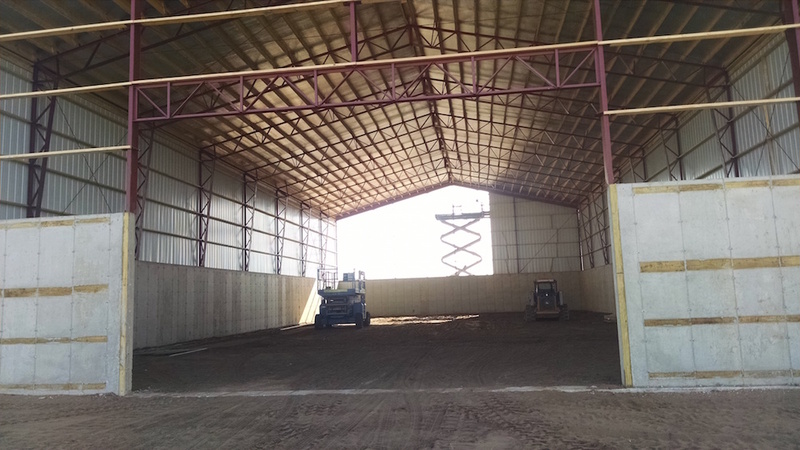 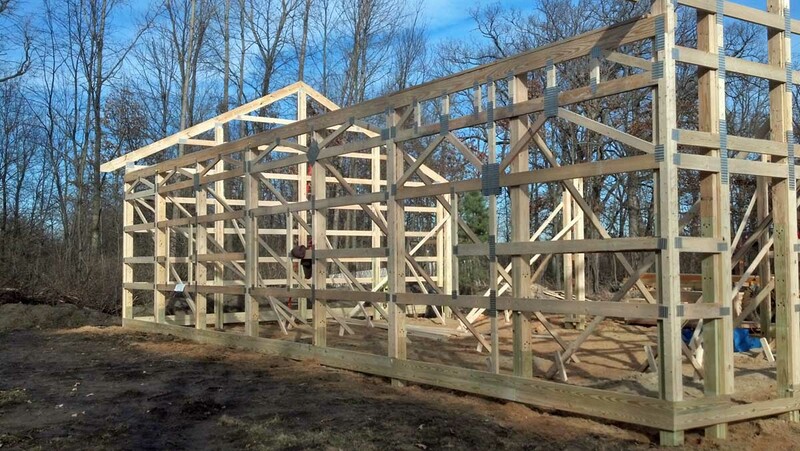 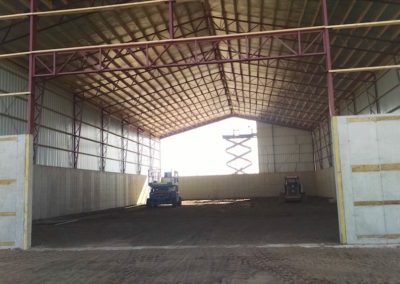 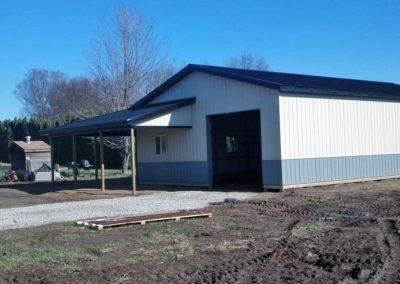 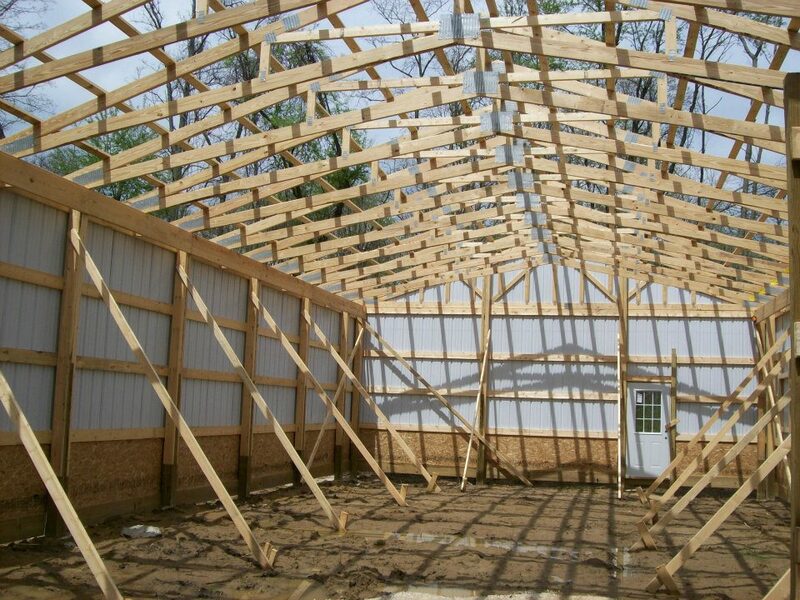 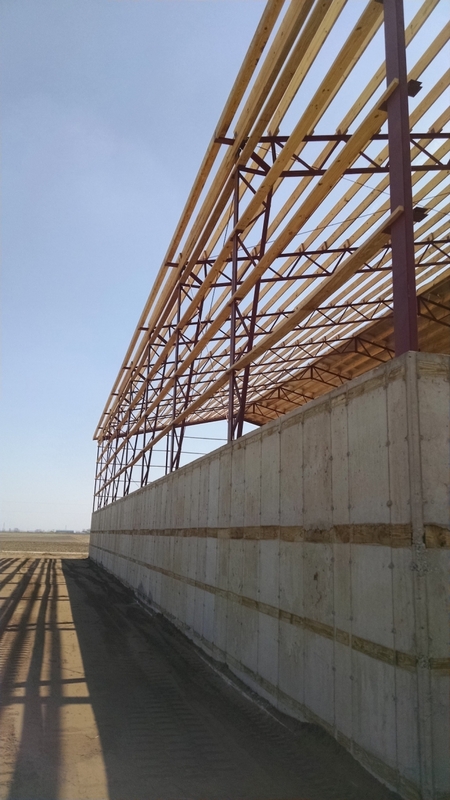 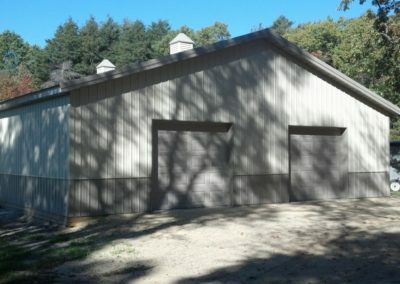 These structures can be used for a variety of purposes, from garages, to horse barns, to riding arenas, to hay barns, to even homes. 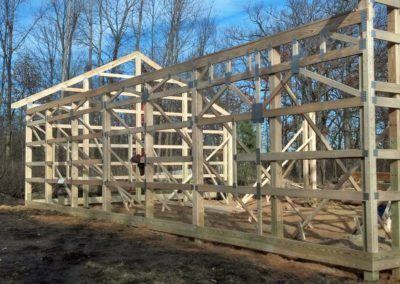 Pole construction is building with poles that are embedded in the ground and used to support the walls, roof and floor framing (if any). 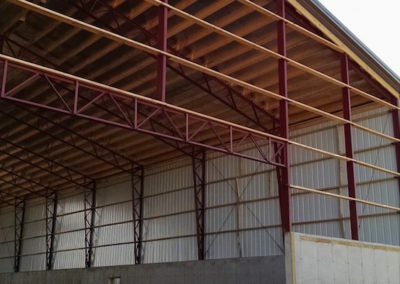 The poles are normally pressure treated wood and set in concrete. 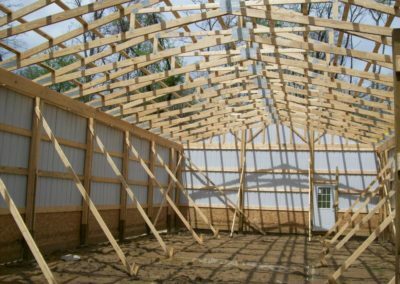 The wall and roof framing is generally wood. 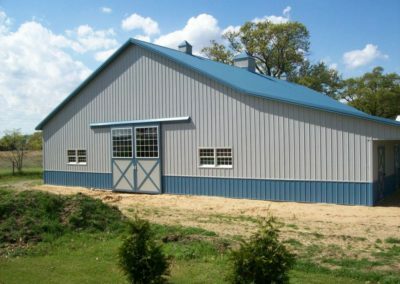 These buildings typically have metal siding and roofs. 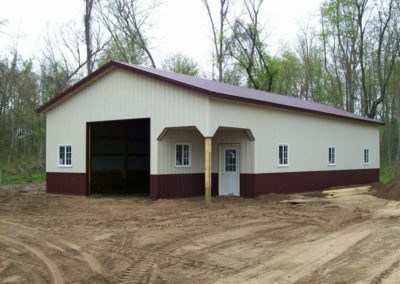 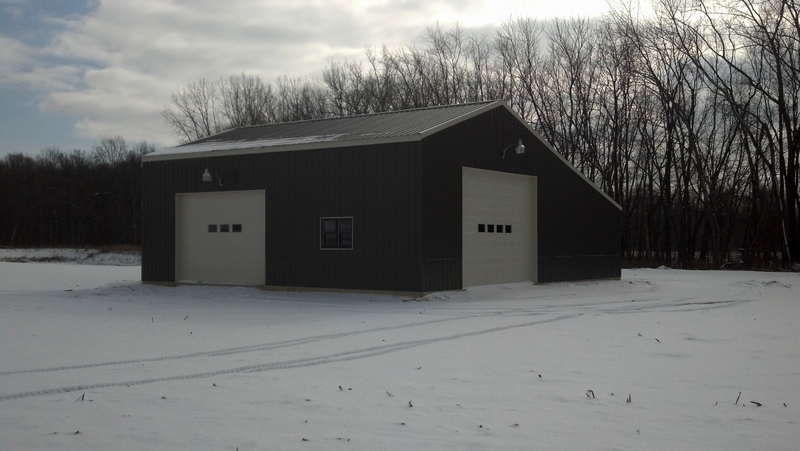 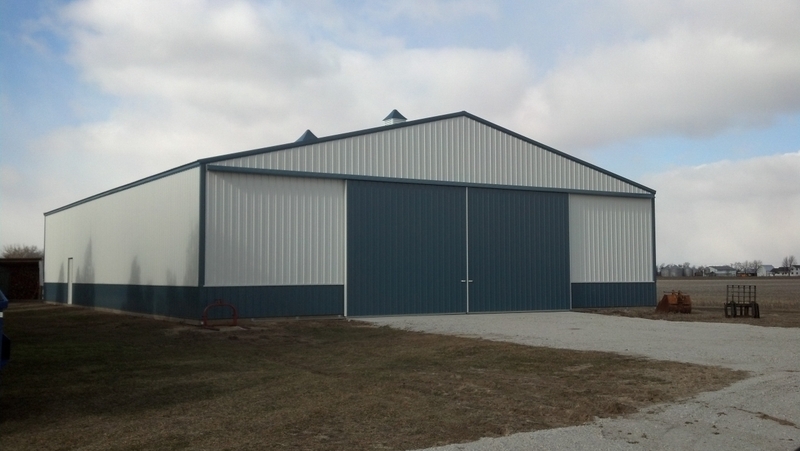 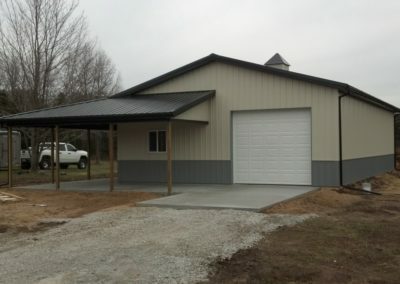 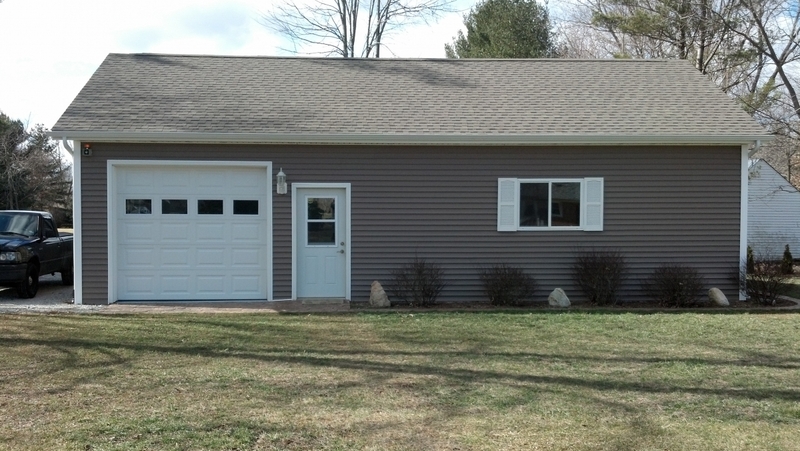 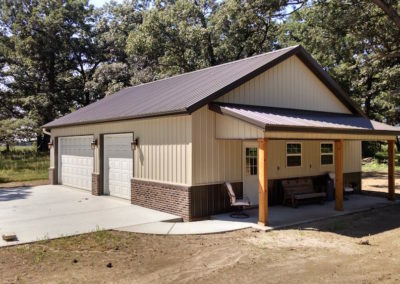 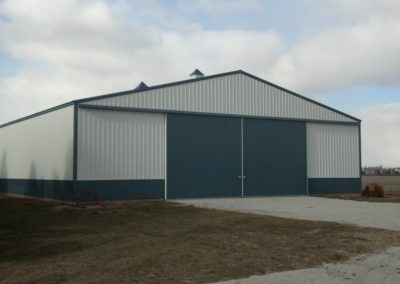 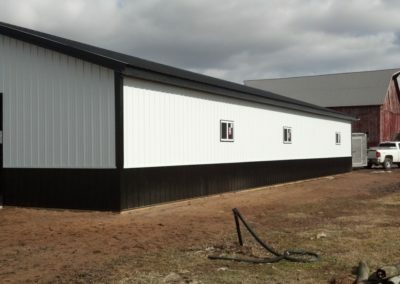 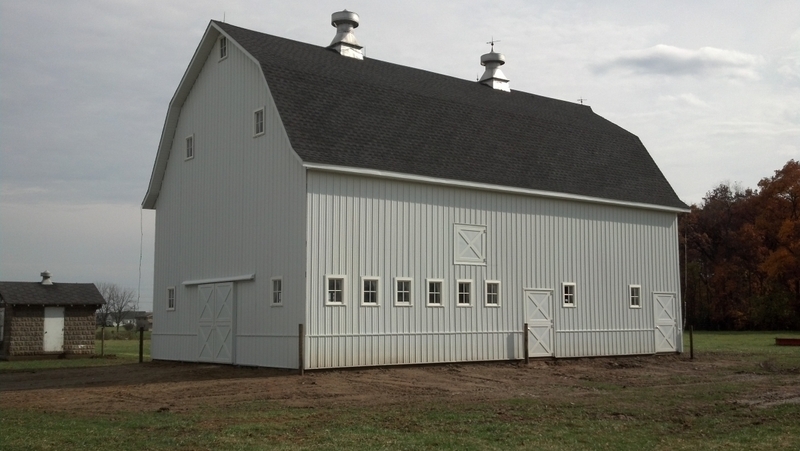 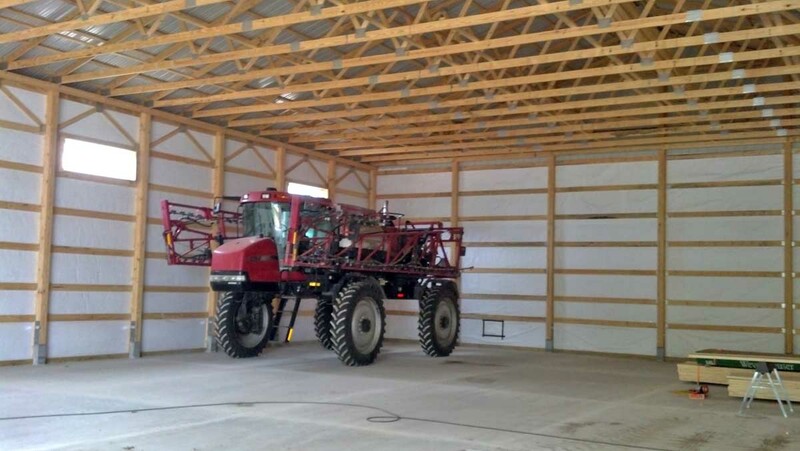 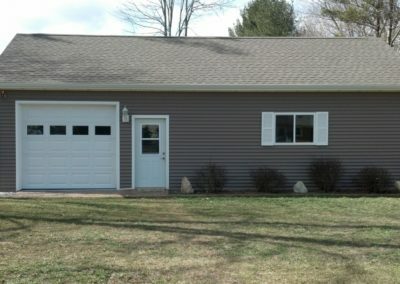 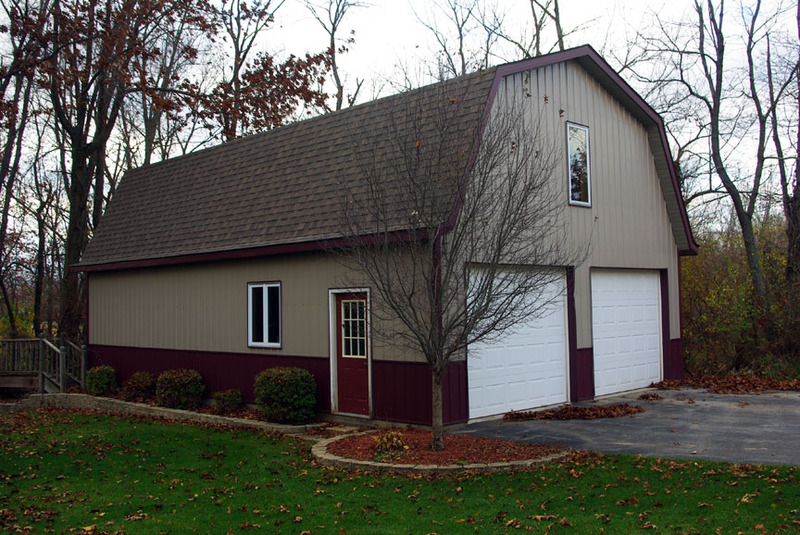 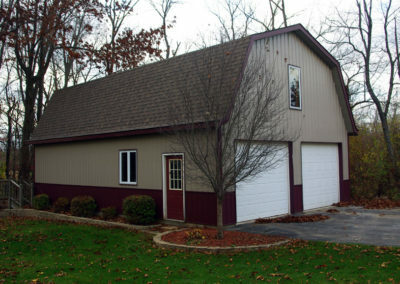 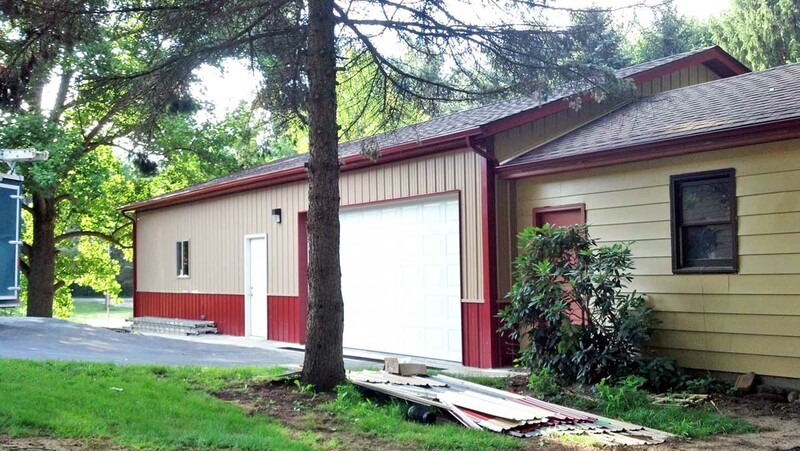 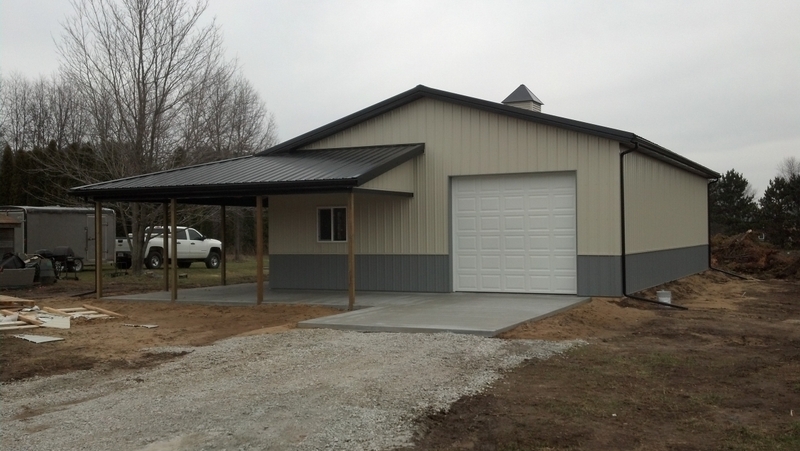 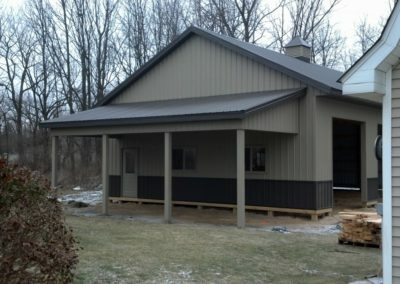 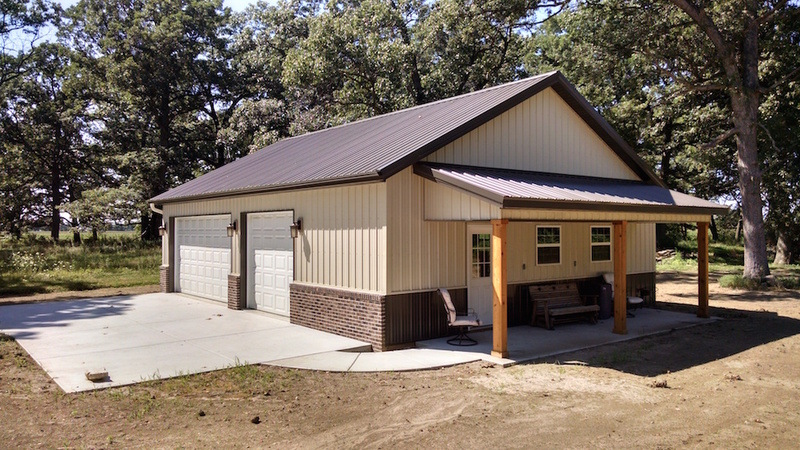 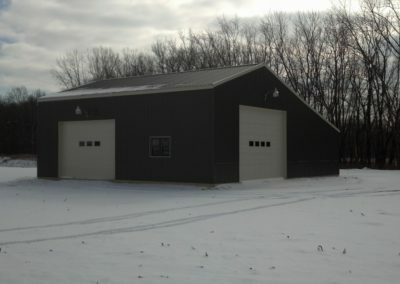 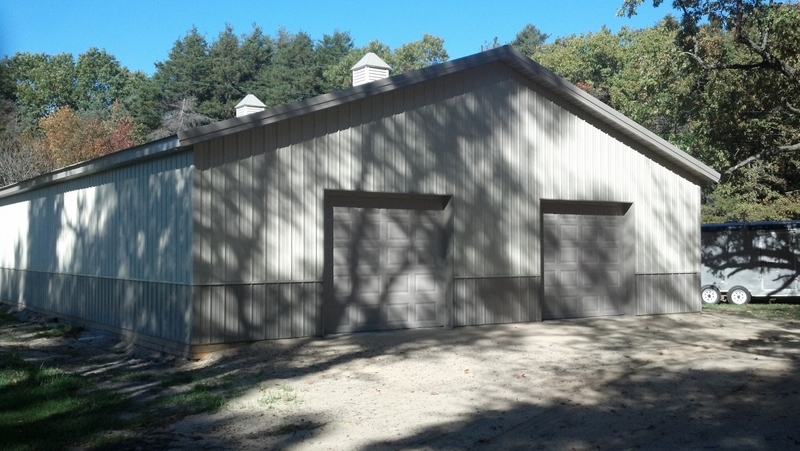 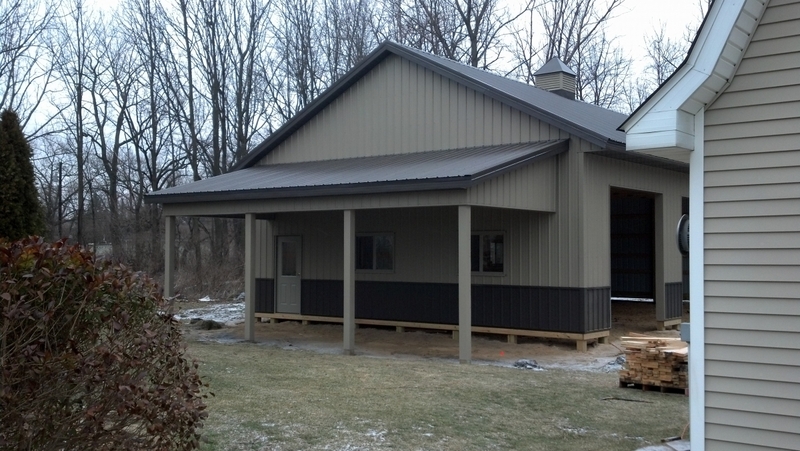 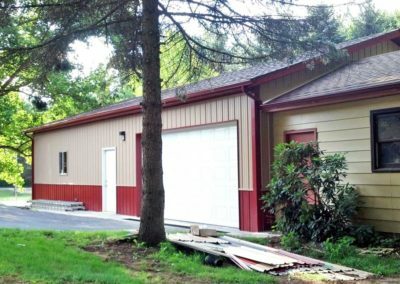 They have an attractive appearance and make excellent buildings for farm use, home storage or garages. 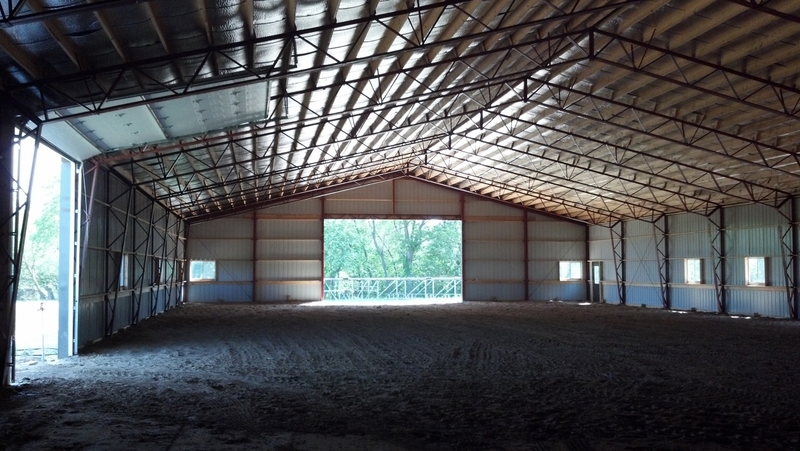 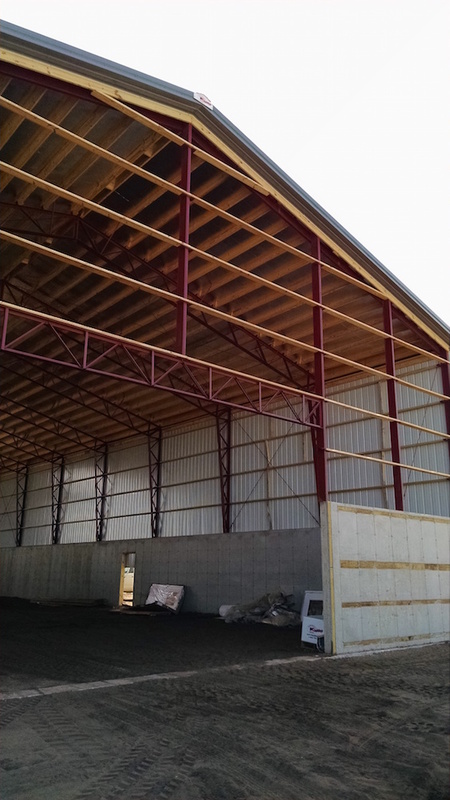 O’Connor Builders have built dozens of Post Frame structures in LaPorte and Porter Counties.